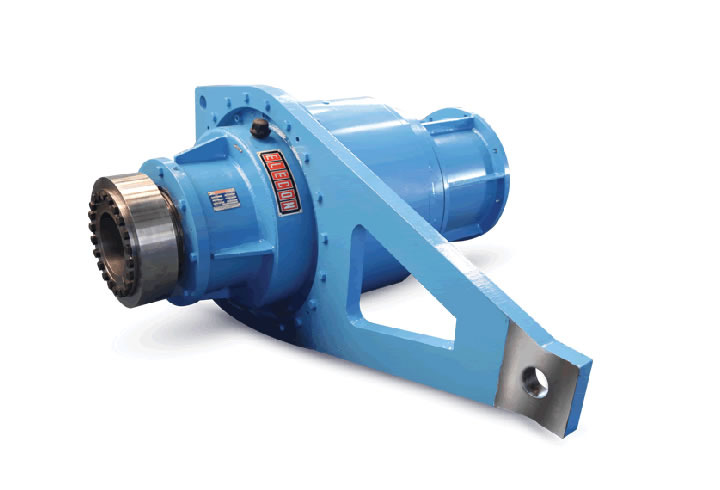 Planetary Gearboxes have much higher mechanical rating compared to parallel shaft Gearbox as the power being transmitted gets equally distributed among three to five streams in each stage thus reducing the induced stresses which very much optimizes the size as well allows to accommodate higher ratio to eliminate open pair. The reduction in floor space as compared to conventional drive i.e with open gearing, almost to the tune of 50% reduction in floor space. Heaviest gear internal such as annuli are stationary thus requires no bearing and automatically improves the stability and reduces the Vibration level and in turn noise. Low noise level of 80-85 db as well as low vibration level going up to 4.5 mm/sec can be achieved. Direct drive eliminating open gears, bearings for same, coupling in between secondary gearbox and Open gearing – thus saving 5 to 6 % power consumption. 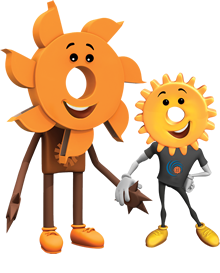 For example, for a 45×90 Mill for power 1100 kW which also includes the drive power of TRPF/GRPF we can get a saving which is approximately equivalent to 20% of the additional expenditure for drive-part i.e. 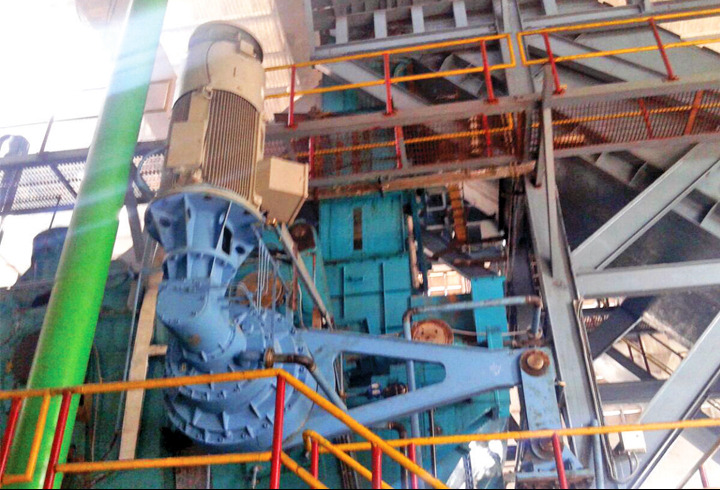 within five seasons additional expenditure is recovered and sugar starts earning additional Profit due to this solution. 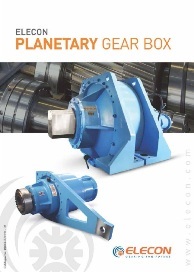 Planetary Gearbox have an advantage that the planet bearings are only loaded where as in case of Bearings supporting Sun or Carrier loads are more or less nullified by virtue of higher no of planets and their equal and opposite forces. Lubrication of planetary gearbox is quite simple as the rotating gear train partially act as pump thus allowing splash lubrication. We are proposing three-to five stage planetary gearbox in each stage Sun is input and carrier is the output keeping annuli stationary as well acting as casing and supported on saddle as shown in Drawing. Elecon's machine capability cuts the internal teeth of annulus to the accuracy of DIN 7 or Grinds if required to the accuracy class DIN 6.